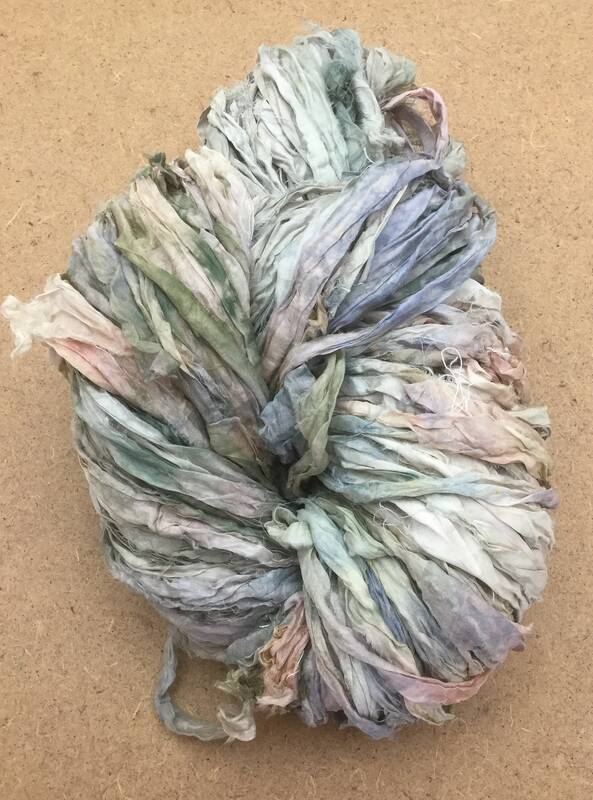 This listing is for 1 x 100g hank of Sari Silk Chiffon Ribbon (100% Silk) Hand Dyed by Oliver Twists. You will receive the exact hank in the photograph. This Sari Silk Ribbon is a biproduct of Silk Sari manufacturing in India and has a beautiful rich quality. They are handmade by womens' co-operatives in rural India.